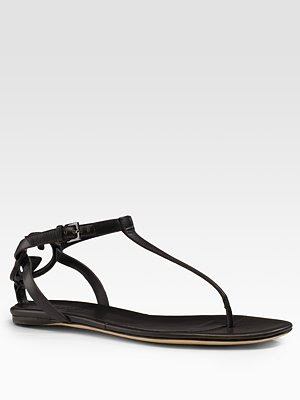 Pun intended yes, but these thongs go between your toes :) The thong sandal is one of the most popular sandals ever. Everyone owns a pair, maybe you wear them to the beach or you have a dope pair you rock with that cute caftan. 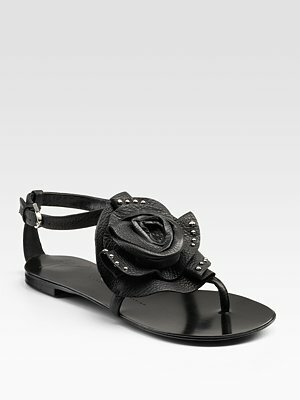 They are fabulous because you get comfort and style as many come with cute embellishments to fit your fashion persona. 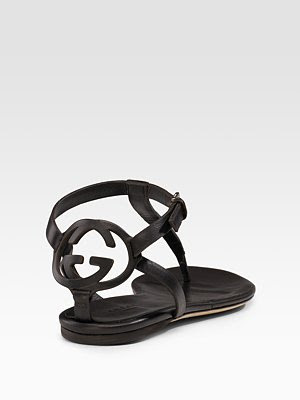 Luxury designers have realized the importance of the thong sandal and have given it it's rightful place alongside their skyhigh counterparts in Spring/Summer collections. Thongs look great with long and short dresses as well as shorts. Here are three that I found that have a similar construction, but varying degrees of fierceness! 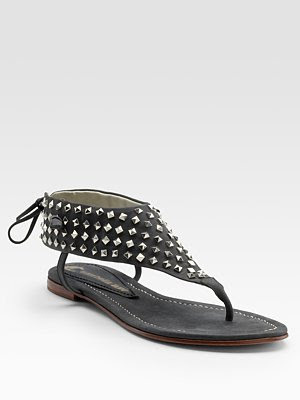 Speaking of studs, these thong sandals by Candela are covered in square silver studs. In to cuffs? The back lace-up detail and simple design when worn make a cuff around the ankle. Love these with a print jumper! Hautey!